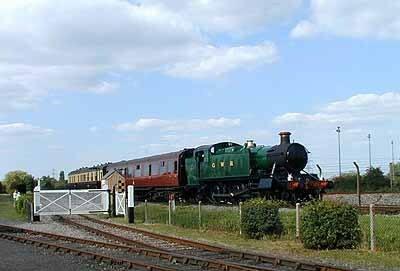 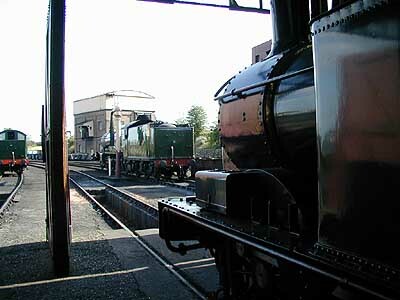 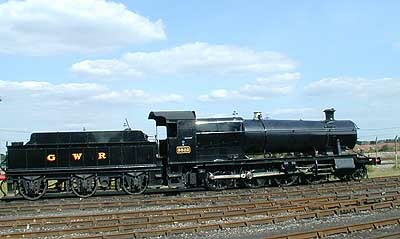 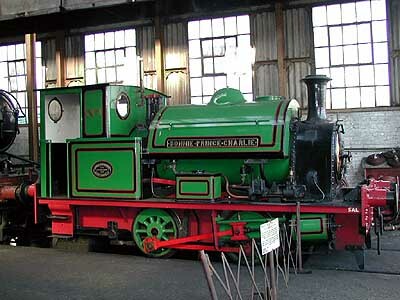 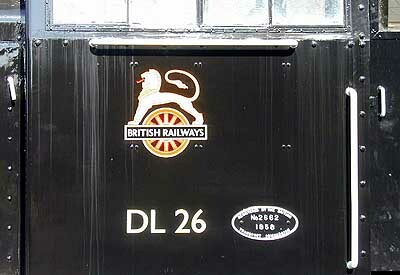 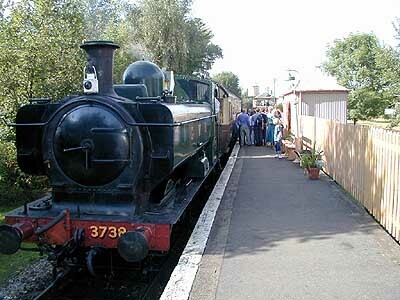 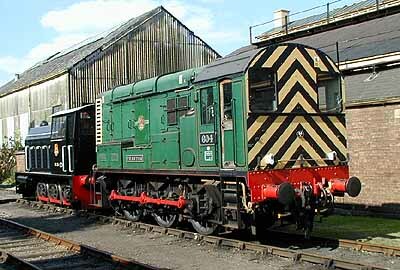 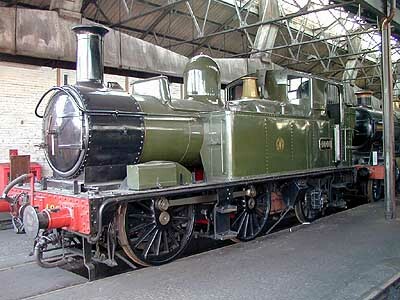 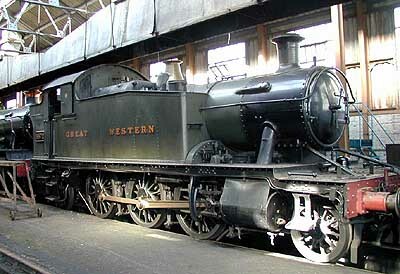 The Didcot Railway Centre is located about 50 miles West of London at Didcot Junction, where the British Rail main line splits into lines to Oxford and north and the West Country. 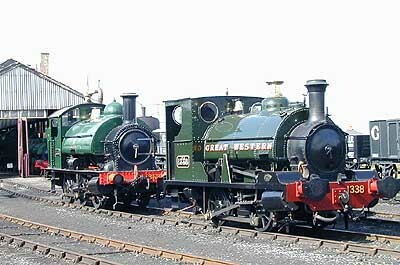 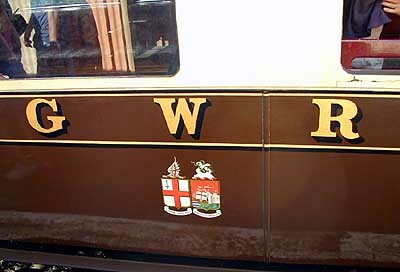 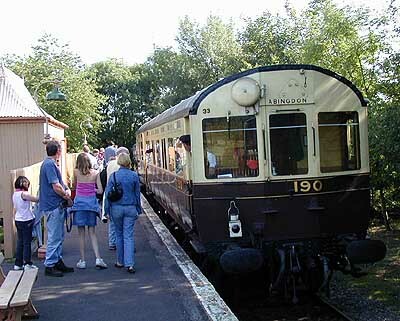 It has preserved considerable vintage Great Western Railway equipment and on the day I was there, Sunday, August 31, 2002, it was running two steam excursions. 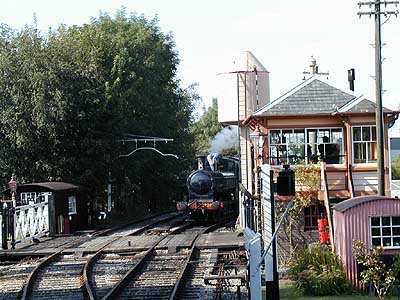 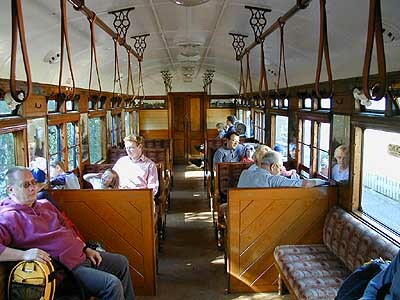 The Centre has collections of artifacts, an extensive bookstore, a refreshment room, and many places to sit and watch the action -- whether at the Centre or on the main railway lines. 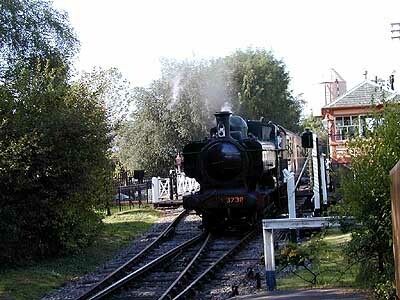 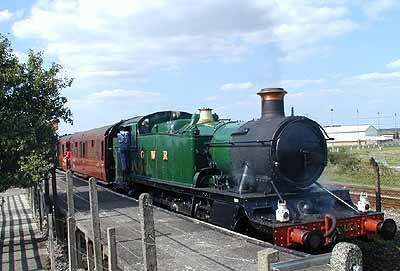 It is particularly family friendly, and is just steps from the Didcot Junction station. 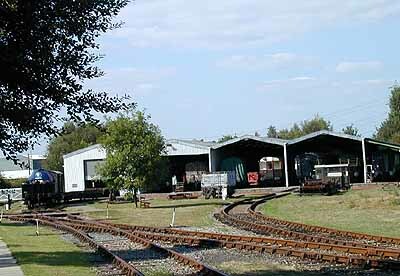 There is ample parking. 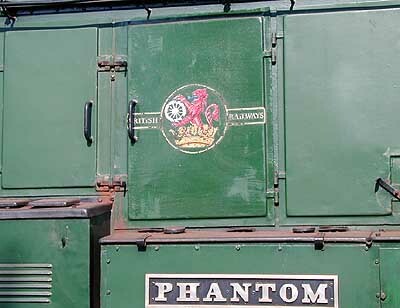 My visit was an extremely brief one and so I was unable to take extensive notes on the photos below. 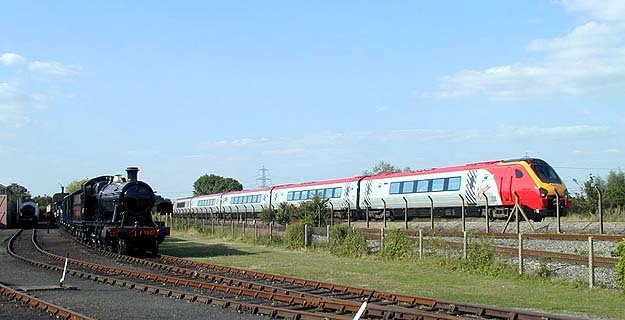 This last photo is of a Virgin Voyager Cross Country train on the line from Oxford. 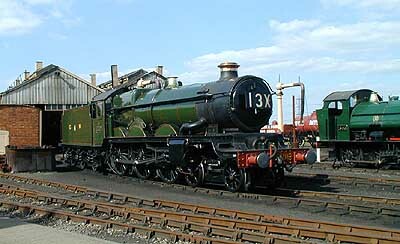 Click here to read our description of this and other new Virgin trains in the Friends of Amtrak Photo Gallery..